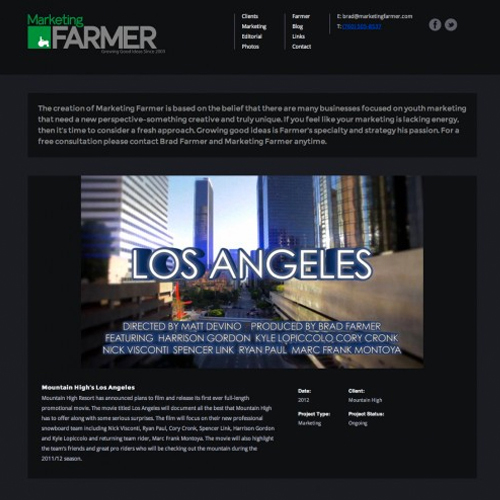 Brad Farmer is a lifestyle and action sports marketing consultant and he reached out to Media Parlour for our help on a new portfolio website. We worked together on a design that was masculine, yet clean and simple. This portfolio design lets Brad showcase both images and videos for his various projects.